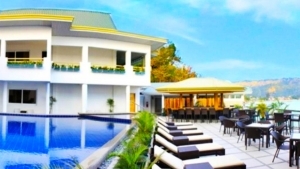 The iCove Beach Hotel is as picturesque and appealing as its name is. 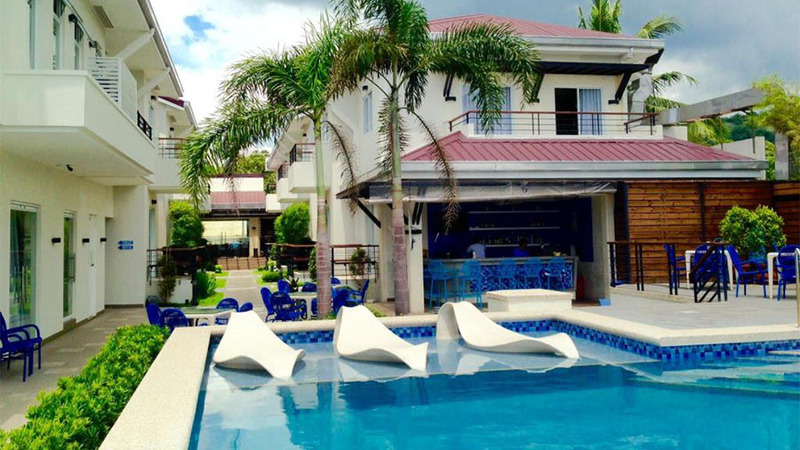 It is situated just 6 kilometers from the Subic Bay International Airport. This comfortable and cozy three-star hotel has accommodation and amenities that are usually available in four-star hotels. The holistic massage treatments offered at the spa are another reason why guests love to stay at this beachside Hotel. 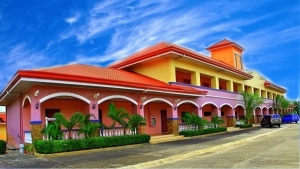 This beautiful hotel is located at a short distance from grocery stores, ATMs, hospitals, and shopping areas. It has a private beach that guests can use. There is a rich spread of multi-national dishes offered on the menu to cater to various tastes that even gourmets will love. 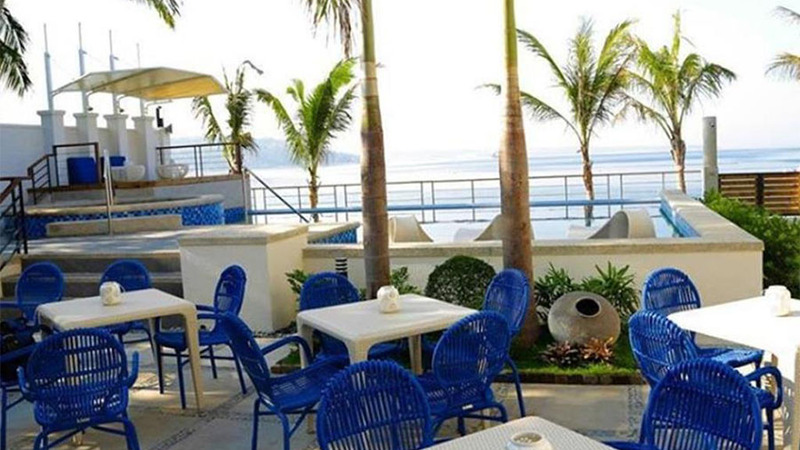 There is a beach bar and a cozy coffee shop where guests can just relax in the afternoons. The spa offers different types of beauty and therapeutic massages. The swimming pool is a best place to just chill out with a cool cocktail. The Hotel is situated very close to diving and snorkeling areas. There are six types of rooms available at the iCove Beach Hotel. The Hotel’s aesthetic interior design combines with comfort to give visitors the best vacation of their lives. 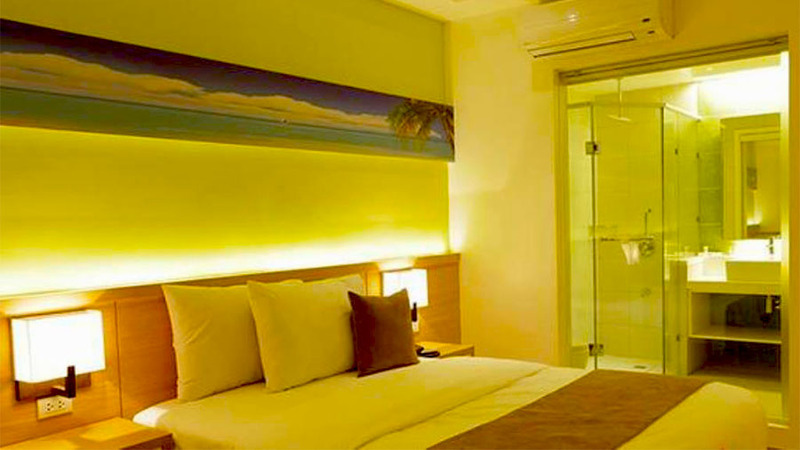 The colors are chosen in a way that will relax you after a tiring day of sightseeing or water sports. Standard and Deluxe rooms, Executive Suite and Deluxe Suite facing the sea or garden, are the choices available. The tariffs are most affordable and range from $37 to $67. Amenities available for the hotel guests include air-conditioning, blackout curtains, microwave, telephone, a terrace, a private shower, cable TV, safety deposit box, and a well-stocked mini-bar. There is a safety box in each room. The 24/7 housekeeping services and room service are without a doubt the best. Other amenities include an airport shuttle, comfortable beds and a wonderful complimentary breakfast spread. 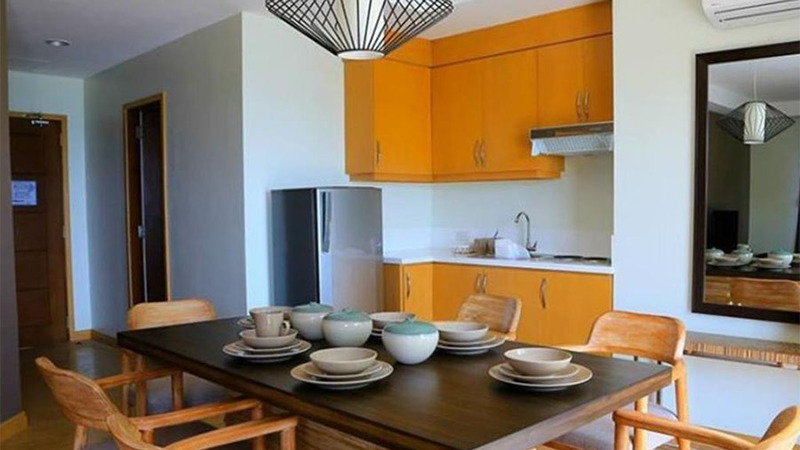 The numerous amenities includes laundry service, the airport transfers, free Wi-Fi in the rooms, and more. 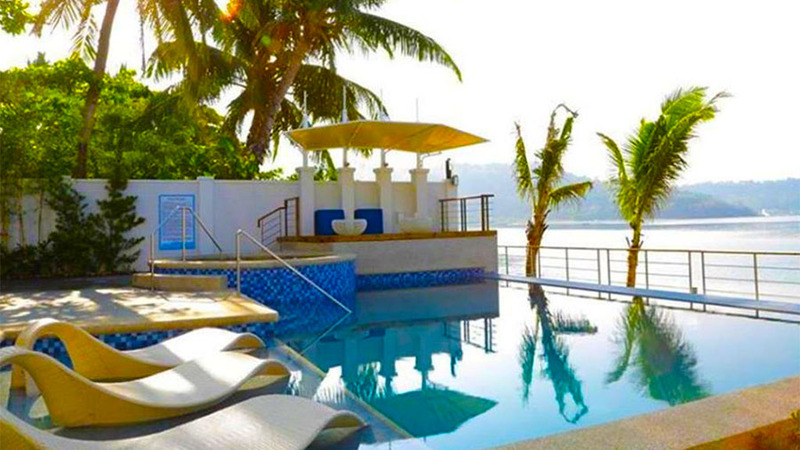 This beautiful Hotel outdoor swimming pool is a favorite place for guests to imbibe the warm sea breezes and sunlight. The Jacuzzi is another popular attraction of the Hotel. The location is its biggest asset. 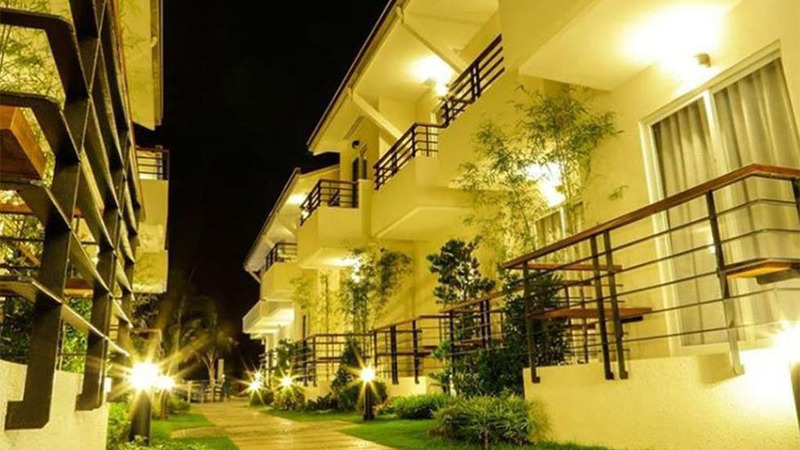 It is situated very close to tourist attractions like the Zoobic Safari park, Ocean Adventure, and Tree Top Adventure facilities where children can enjoy many adventures. Duty-free shops and nightclubs are also within easy access. Guests are offered free bottled water on a daily basis. 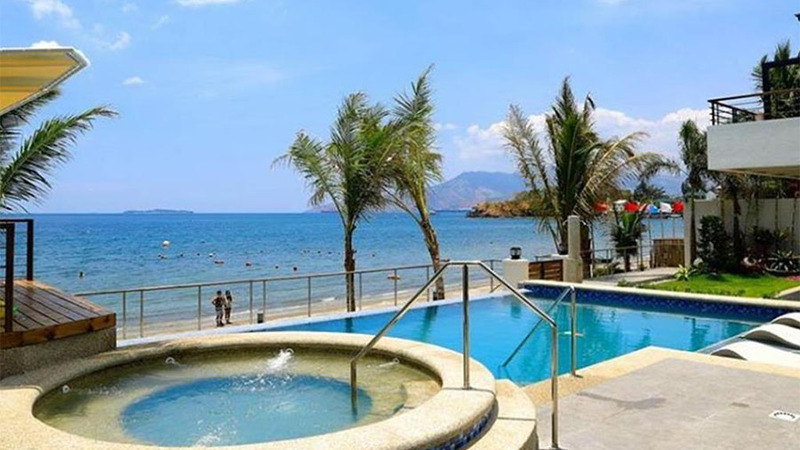 The splendid view of the sea, its easy accessibility, in-house and other recreational activities, and it affordability make the iCove Beach Hotel real value for money. So just book online and enjoy the most relaxing tropical vacation of your life! The Mangrove Resort Hotel’s beautiful scenery and mesmerizing beaches, will make sure your stay is a memorable experience.